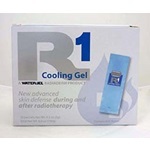 R1 Cooling Gel is the first step of the full R1 & R2 Treatment. It cools, relieves pain and hydrates the skin. R2 Soothing Lotion is the second step of the full R1 & R2 treatment. 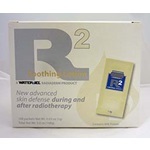 It hydrates and smoothes the skin damaged by radiation. R1 Cooling Gel is the first step of the full R1 & R2 treatment. It cools, relieves pain and hydrates the skin stressed by radiation therapy. It is sold separately so that patients can incorporate its soothing and nurturing benefits into their daily skincare routine after radiation treatments are complete. R2 Skin Soothing Lotion is Step 2 of the Radiaderm System. The lotion helps provide relief and healingto skin stressed by radiation therapy. R2 is sold separately so that patients can incorporate its soothing and nurturing benefits into their daily skincare routine after radiation treatments are complete.